Wow! 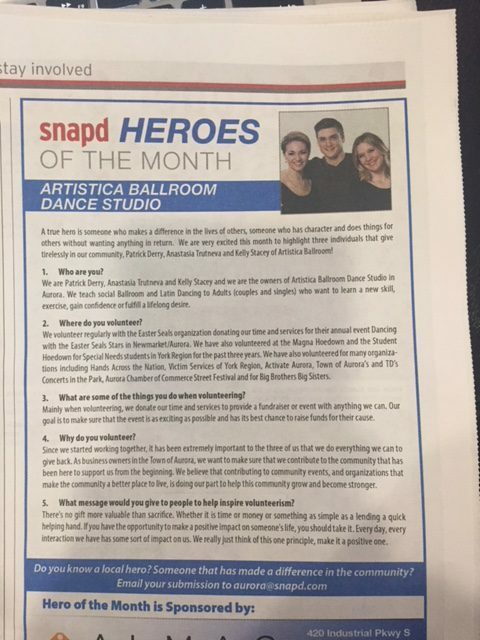 Thanks Snap’d Aurora for naming us Heroes of the Month for October! We love giving back to our community! http://artisticaballroomdance.com/wp-content/uploads/2018/09/09-2018-ArtisticaV2TMD.png 0 0 The Artistica Team http://artisticaballroomdance.com/wp-content/uploads/2018/09/09-2018-ArtisticaV2TMD.png The Artistica Team2017-10-14 15:03:372017-10-14 15:32:13Heroes of the Month!